For those who suffer from stress-induced insomnia, it may seem ironic that they best antidote to stress is sleep. According to the National Sleep Foundation, many sleep experts agree that stress is the primary cause of most short term sleep problems. If you are suffering from acute stress caused by a caring for an ailing loved one, dealing with the loss of a job, or some other significant event, the cause of your sleep deprivation may be easy to spot. However, if the stress in your life is everyday stress, you may not realize how that chronic stress is stealing your sleep. If you feel tired all the time, struggle to fall asleep, or have a difficult time staying asleep, you need to look at the level of stress in your life and at how successfully you are managing it. Understanding the subtle ways stress can impact sleep may be the key to getting you back to bed and back to getting the sleep you need. There was a time not so long ago that when we left the office we left our work there too. Now, more than 50% of adults report bringing work home with them on a regular basis. This intrusion on personal time and family activities, which is generally done to catch up on work and relieve stress actually increases stress across the board. The lack of boundaries between work hours and personal hours often makes people feel that no matter which they are attending to, they should be focused on the other. This internal struggle only causes more stress. To counteract this sleep stealing stress cycle, set a boundary with yourself and communicate it to your boss. Decide how often and under which circumstances you will bring work home with you and then stand firm each time it is challenged. You will likely end up being more productive in the long run, even if you are working less hours, since you will be well rested and have the benefits of adequate sleep on your side. Similar to the stress caused by the breakdown of the work/home boundary above, our modern day gadgets have broken the availability barrier. There was a time that the only way people could reach you 24 hours a day was by telephone. Social etiquette frowned upon calling someone late at night unless there was a dire emergency that could not actually wait until morning. Now, our laptops, smart phones, and email invite everyone we know to contact us whenever they want regardless of the importance of their message. Just keeping on top of all this communication can be stressful and exhausting. The concept of downtime has virtually disappeared from our days and we never have time to unplug, unwind, and release some of the accumulating stress. Keep stress at bay by creating an email schedule which dictates when you will and will not view and respond to emails after hours. Schedule no-screen time where you spend a certain amount of time away from any device that has a screen. Set a no cell phone/email/laptop in bed rule. In addition to suffering the effects of stress-induced insomnia, many of us use stress avoidance strategies that actually sabotage our sleep. Things like eating fatty or high sugar foods at night, skipping meals, not exercising, and drinking alcohol only exacerbate the difficulties we have getting the sleep we need. 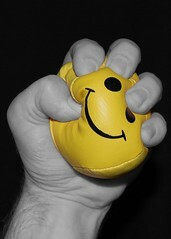 When we are stressed, we may pull away from friends and family members, which only makes things worse. Maintaining these types of connections are natural stress busters and by pulling away, we are increasing our stress and missing out on one of our greatest sources of stress relief. Stop stress from sabotaging your sleep by avoiding alcohol, fatty foods, and lots of sugar in the hours leading up to bedtime. Go for a walk instead and let physical activity decrease your stress while bolstering your ability to sleep. Stay connected to your friends and family to keep your stress level under control. If you are experiencing trouble sleeping, please call Valley Sleep Center at 480-830-3900 and visit our website at www.valleysleepcenter.com.